Last edited by that Fish Guy; 09/05/2018 at 02:26 AM. 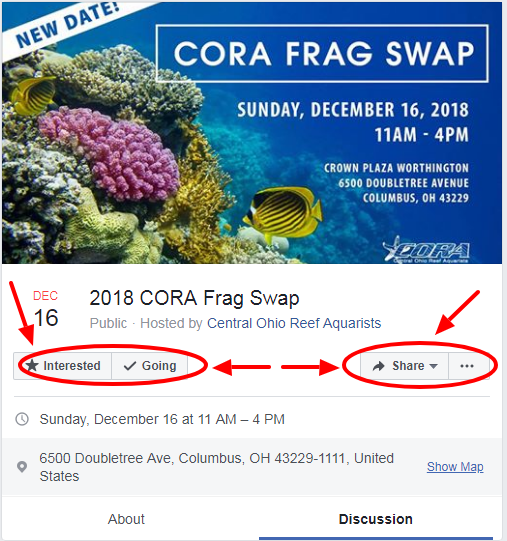 EVERYONE Please Remember to Mark "Going" or "Interested" on the CORA Frag Swap (Columbus, Ohio) Facebook Event Page. 4. Admission is $5 and Kids 16 and Under are FREE. Having the Exact Amount Helps Things Go Smoother at the Entrance. 5. Food and Drinks will be Available at the Show. 6. Be Aware of How Much Time You Take Talking to a Vendor if what Your Discussing Doesn't Involve Buying Something. Vendors are Very Helpful and Knowledgeable and Most Will Try to Help You, but Please be Conscious of the Fact that Vendors are There to Sell and Not to Explain How to Rid Your Tank of Nuisance Algae (For Example). great frag swap dont miss it! The CORA Frag Swap (Columbus, Ohio) is just 8 Weeks Away !!!!!!!! 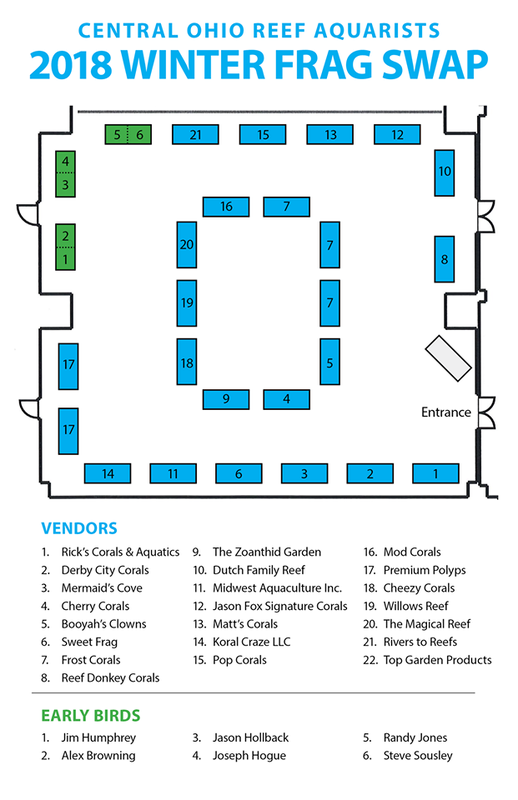 Our vendor list keeps getting bigger and better! Welcome Matt's Corals and Koral Craze LLC. "Dressed up like plankton, sucked in by baleen." The CORA Frag Swap (Columbus, Ohio) is just 7 Weeks Away !!!!!!!! 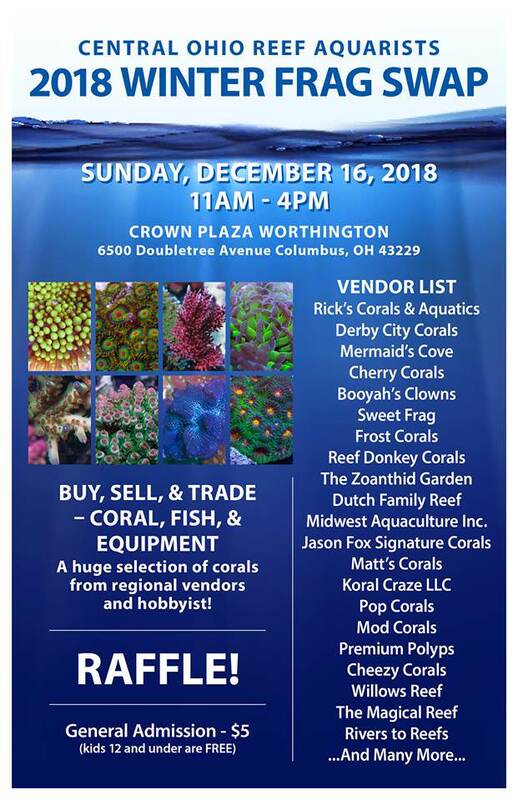 The CORA Frag Swap (Columbus, Ohio) is just 6 Weeks Away !!!!!!!! 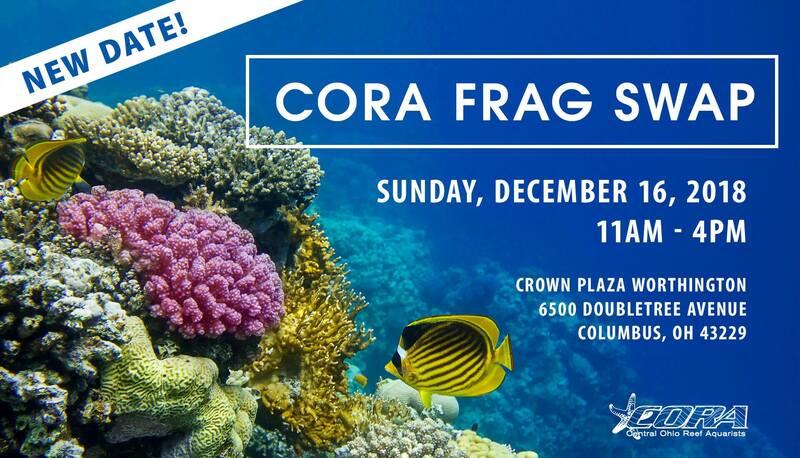 The CORA Frag Swap (Columbus, Ohio) is just 5 Weeks Away !!!!!!!! The CORA Frag Swap (Columbus, Ohio) is just 4 Weeks Away !!!!!!!! The CORA Frag Swap (Columbus, Ohio) is just 3 Weeks Away !!!!!!!! The CORA Frag Swap (Columbus, Ohio) is just 2 Weeks Away !!!!!!!! There are only a few tables left! Last chance to register for vendor or early bird spots. Visit corareef.org/fragswap to register/pay. The CORA Frag Swap (Columbus, Ohio) is just 4 Days Away !!!!!!! !